Heating and cooling constitute a large amount of the energy used in buildings. Even more interesting, thermal energy can be stored and be used to level energy demand, reduce energy-demand peaks or other special conditions. At the University of Georgia in Athens, Georgia USA, the campus district cooling system has been measured, controlled and developed during the last few years to better understand how to optimise its usage for the district. In his talk, Dr. Thomas Lawrence will present their recent results which will focus on their research on model predictive control of a district energy-system with distributed generation capacity. 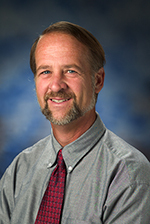 Dr. Tom Lawrence is a Senior Public Service Associate and coordinator for the mechanical engineering degree program at the University of Georgia, and he has 30+ years of professional engineering experience. Before going back for his Ph.D. in Mechanical Engineering, he spent approximately 20 of those years in industry and consulting. He is the past chair of ASHRAE Technical Committee 2.8 Building Environmental Impact and Sustainability, and he is a member of the committee that wrote ASHRAE Standard 189.1 on high-performance green buildings. As an ASHRAE Distinguished Lecturer, he gives presentations and workshops on green building design around the world. He is the chair of the editorial committee that produced the 4th edition revision to the ASHRAE Green Guide. Dr. Lawrence has a B.S. with Highest Distinction honors in Environmental Science from Purdue University, M.S. in Mechanical Engineering from Oregon State University and a second M.S. degree in Engineering Management from Washington University. He received a Ph.D. in Mechanical Engineering from Purdue University, with a research topic focused on demand control ventilation.